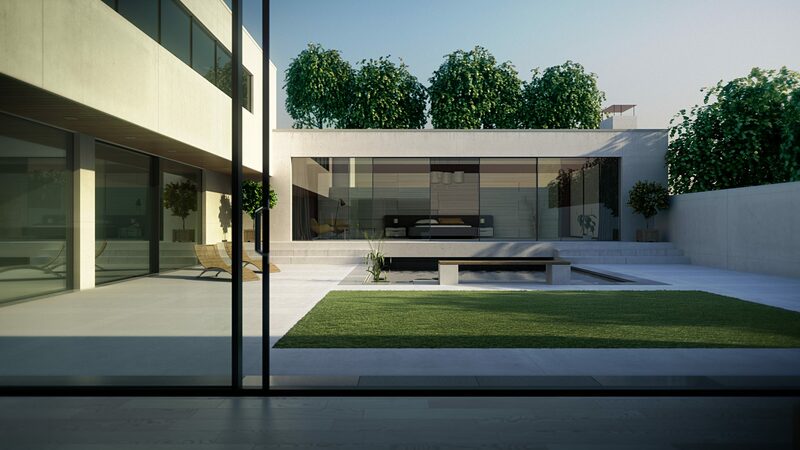 Viiu (pronounced ‘view), the outstanding slim-line sliding door taking the market by storm, has become the first product of its type to pass the new more stringent security standard PAS24-2016. Viiu offers ultra-slim sightlines, secure laminated glass throughout and an ingenious, unobtrusive design. With the outer-frame entirely built into the façade, it gives the appearance of a wall of glass, strong enough to support moving glass sections of up to 750kg, and fixed glass sections up to 1200kg. But it’s the product’s unusually slim but robust interlock section that’s allowed it to achieve much sought-after PAS24-2016 accreditation. “The PAS24-2016 process is extremely challenging,” explains Viiu Sales Director Rod Tate. “It was recently updated to stipulate the interlocks should not part by 50mm under 450kgs of force from both sides. As a result, most systems on the market found themselves in trouble. They simply hadn’t been designed to withstand that level of force. “During testing, most slim interlocks bend under the pressure, often resulting in gaps bigger than the magic figure of 50mm – the minimum amount of space a would-be intruder could realistically get their arm through. Viiu is also a cut above the competition in other ways. A motorised option is also available – and its drive gear is discreetly housed in the unit’s 100m head profile, which itself is hidden behind the building’s façade. Most competitor products, by contrast, require chunky head profiles up to 300mm in height. The motor can be easily accessed from below for maintenance or repair without the need for ugly internal access panels inside the home. What’s more, Viiu comes with automatic obstruction detection on motorised models, and a choice of wall-mounted or key fob operation.